Dollar Tree Shoppers, are you ready to pick up another FREEBIE! 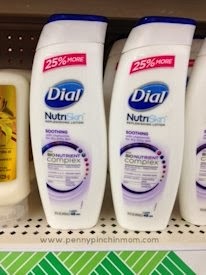 Grab your coupons and score FREE Dial NutriSkin Lotion at Dollar Tree. The $1 off coupon can be found in the October 6th Red Plum Coupon Insert.